REISTERSTOWN RIDGE, RIVA, RIVIERA BEACH, RIVERDALE, ROSEDALE, ROCKVILLE, ROSSVILLE, CITY, SANDY SPRING, SAVAGE ,SCAGGSVILLE, SEVERN, SEAT PLEASANT, SEVERNA PARK, SHERWOOD FOREST, SILVER SPRING, SIMPSONVILLE, SYKESVILLE, SOMERSET, SPENCERVILLE, SPRINGDALE, SOUTH GATE, SUITLAND, SWAN POINT, TAKOMA PARK, TEMPLE HILLS, TOWSON, TRACYS LANDING, UNIVERSITY PARK, UPPER MARLBORO, WEST BETHESDA, WEST FRIENDSHIP, WHEATON, WHITE MARSH STATION, WOODBINE, WOODLAWN AND SURROUNDING VICINITY. ANDREWS AIR FORCE BASE, ANNAPOLIS, ANNAPOLIS JUNCTION, ARBUTUS, ARNOLD, ASHTON, ASPEN HILL, BALTIMORE LOCKSMITH, BALTIMORE HIGHLANDS, BARNESVILLE, BEALLSVILLE, BELTSVILLE, BERWYN HEIGHTS, BETHESDA LOCKSMITH, BEL AIR, BELCAMP, BLADENSBURG, BOWIE, QUARTERS, BOYDS, BOWLEYS , BRENTWOOD, BRINKLOW, BROOKEVILLE, BROOKLYN PARK, BURTONSVILLE, CABIN JOHN, CAMP SPRINGS, CAPE SAINT CLAIRE, CAPITOL HEIGHTS, CARNEY, CATONSVILLE, CHAPEL OAKS- CEDAR HEIGHT, CHELTENHAM, CHESAPEAKE BEACH, CHEVERLY, CHEVY CHASE, CHILLUM, CLARKSBURG, CLARKSVILLE, CLINTON, COCKEYSVILLE, COLESVILLE, COLLEGE PARK, COLMAR MANOR, COLUMBIA LOCKSMITH, COOKSVILLE, CORAL HILLS, CROFTON, CROWNSVILLE, COTTAGE CITY, CURTIS BAY. DAMASCUS, DARNESTOWN, DANIELS, DAVIDSONVILLE, DAYTON, DERWOOD, DICKERSON, DISTRICT HEIGHTS, DUNDALK, DUNKIRK, EASTPORT, EDGEMERE, EDGEWATER, EDGEWATER BEACH, EDGEWOOD, EDMONSTON, ELDERSBURG, ELKRIDGE, ELLICOTT CITY, ESSEX, FAIRMOUNT HEIGHTS, FALLSTON, FERNDALE, FINKSBURG, FORT GEORGE G MEADE, FREDRICK, FREEDOM, FRIENDSHIP, FOREST HILL, FOREST HEIGHTS, FORESTVILLE, FORT WASHINGTON, FULTON, GALESVILLE, GAITHERSBURG, GAMBRILLS, GARRETT PARK, GARRISON, GERMANTOWN, GIBSON ISLAND, GLENARDEN, GLEN ARM, GLEN BURNIE, GLENN DALE, GLEN ECHO, GWYNN OAK, GLENELG, GLENWOOD, GREENBELT, GREEN HAVEN, GUNPOWDER, HALETHORPE, HAMPSTEAD, HAMPTON, HANOVER, HARMANS, HARWOOD, HERALD HARBOR, HIGHLAND. HIGHLAND BEACH, HILLCREST HEIGHTS, HUNT VALLEY, HYATTSVILLE, ILCHESTER, ISSUE, JARRETTSVILLE, JARRETTSVILLE, JESSUP, JOPPA, KENSINGTON, KINGSVILLE, LANDOVER, LANDOVER HILLS, LANGLEY PARK, LANHAM-SEABROOK, LANSDOWNE, LAKE SHORE, LARGO, LAUREL, LISBON, LINTHICUM, LINTHICUM HEIGHTS, LOCHEARN, LOTHIAN, LUTHERVILLE, MARLOW HEIGHTS, MARRIOTTSVILLE, MARYLAND CITY, MIDDLE RIVER, MILFORD, MILLERSVILLE, MITCHELLVILLE, MONTGOMERY VILLAGE, MONTPELIER, MORNINGSIDE, MOUNT RAINIER, NAVAL ACADEMY, NEW CARROLLTON, ODENTON, OVERLEA, NORTH BRENTWOOD, OLNEY, OWINGS MILLS, PAROLE, PARKVILLE, PARKTON, PASADENA, PERRY HALL, PERRYMAN, PIKESVILLE, POTOMAC, VILLAGE, PUMPHREY, REISTERSTOWN, RANDALLSTOWN. Spartan Locksmith is a full-service mobile locksmith company serving the Baltimore Metropolitan Area and surrounding vicinity. We guarantee our 24/7 emergency service, accommodating both residential and commercial clients. We offer competitive pricing and quality workmanship. Spartan Locksmith is committed to excellence. We provide you, our customers, with residential, commercial and automotive solutions to fit all needs and pockets with our range of locks, keys, alarm systems, CCTV systems, keyless entry systems, video surveillance systems and access control systems. Spartan Locksmith offers the best security products using the most advanced technology at affordable prices. All products used suit your needs at prices you can afford. Our technicians are highly trained professionals who guarantee the best service at any time, day or night. Spartan Locksmith knows that time is money so we have mobile units thru-out the Baltimore Metropolitan Area and surrounding vicinity ready to beat the tough city traffic in order to get to your lockout emergency ASAP. Have you locked yourself out of your house? Do you need new locks for your residence? Spartan Locksmith is here to serve you. Give us a call to set up an appointment so we can help you with all your residential locksmith needs at your convenience. In case of emergency, we can be called and will respond 24 hours a day, 7 days a week, 365 days a year. Our highly skilled locksmiths are dedicated to giving you the quality service you deserve. Expect only the best from Spartan Locksmith! Spartan Locksmith offers all the security products that could possibly be required for any type or size of business. These products include: locks, alarm systems, CCTV, intercom/access control and a sophisticated telephone system. At Spartan Locksmith, we believe that our clients should be involved in product selection in order to guarantee that only the products you want are selected at affordable prices. It has been our experience that this policy encourages the development of a long-term business relationship with the client to our mutual advantage. Our experienced and professional technicians are available to you and at your service 24/7. Our customer service representatives also work around the clock and will be glad to assist you at any time of day or night. If the technician has left and you’ve just thought of another question, no problem. Call back. 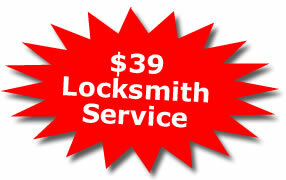 At Spartan Locksmith, follow-up is part of the service. When Spartan Locksmith takes care of your business security, you are free to take care of your business. Your satisfaction is the key to our success  and yours. You need it. We can do it! Need us to open your garage door? Home or business been broken into? Spartan Locksmith provides unbeatable 24/7 Emergency Service, ASAP! Our technicians are equipped with the most advanced and versatile Tools. They are ready to fulfill all of your needs 24 hours a day, 7 days a week, 365 days a year and can be at your location in less than 20 minutes! Call us any time, day or night. Spartan Locksmith can fix it. Do you need to extract a broken key from a lock? Our service vehicles are equipped with the most advanced tools and computers systems available with the aim of opening your vehicle quickly without causing any damage. We have state of the art computerized machinery to manufacture new keys or replace the old ignition in your car. Contact us any time and our customer service representatives will dispatch a technician to you immediately. We cordially invite you to join our community of satisfied customers. 15 Minute Response Time guaranteed to local residents, we grew rapidly. Today we satisfy householders and business people alike throughout the entire Baltimore Metropolitan area and surrounding vicinity. Spartan Locksmith has become a major factor in the security and lock service of Baltimore. We are grateful to our many many satisfied customers who have helped us become one of the leaders in our field. Our professional team of highly trained technicians will cater to your every need offering the highest standards of performance wherever and whenever we are needed, 24/7. Spartan Locksmith is constantly researching the state-of-the-art developments in the field. This guarantees that we will always offer the latest technology at the most affordable prices. At Spartan Locksmith, you the client are our highest priority. We are your key to customer satisfaction. Our efficient and courteous team of customer service representatives use the latest in computer technology to respond to all queries. Our sophisticated computer network system ensures that our technicians are directed to you ASAP, 24/7. Spartan Locksmith is a licensed, bonded and insured company. Our 24/7 service translates into immediate responses to all calls for assistance. Contact us with all your security queries and requirements. We would love to welcome you into our ever-growing community of satisfied customers.